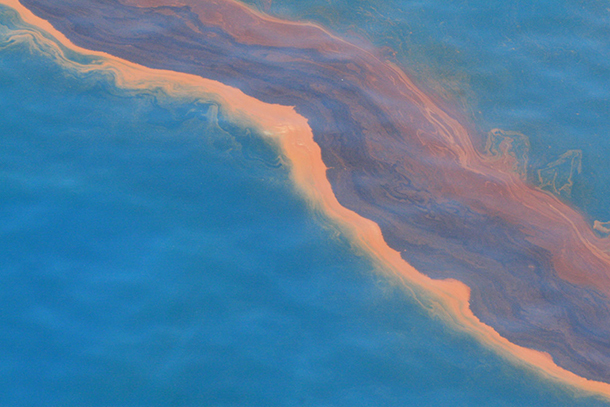 In 1979, the Ixtoc oil well blew out off the coast of Mexico – and an oil slick spread in the Gulf over the next nine months. When the Deepwater Horizon blowout happened in 2010, with its ensuing millions of gallons of oil released, scientists noted striking similarities to the Ixtoc spill. Today, ocean floor expeditions near the Ixtoc site seek to find out how the ocean is recovering three decades out, in the hopes that they’ll learn about the future of Deepwater Horizon. CURWOOD: Nearly seven years ago the Deepwater Horizon blowout fouled the Gulf of Mexico with about five million barrels of oil. There are still traces of oil on beaches and on the seabed, and the long-term effects are hard to predict. But scientists for C-IMAGE, the Center for Integrated Modeling and Analyis of the Gulf Ecosystem, are getting a glimpse of what’s to come by studying another major oil spill. This one happened 35 years ago, off the coast of the Yucatan peninsula, and it’s giving researchers a window into the future of the Gulf. David Levin has our story. LEVIN: It’s late afternoon in Mexico’s Ciudad del Carmen, and rush hour’s already started. Thick traffic like this is sort of a new thing here. For most of its history, Carmen was just a sleepy fishing town. But that was before the 1970s, when the Mexican government found oil nearby. Over the last four decades, oil has transformed Carmen into a city of more than 160 thousand people. But that growth started with trouble. LEVIN: In June, 1979, just 15 miles offshore from Carmen, a well platform called Ixtoc 1 blew out in 150 feet of water. It caused one of the biggest spills ever to hit the Gulf, and for more than nine months, crews couldn’t plug the leak. The resulting oil slick stretched for hundreds of miles, washing up on beaches from the Yucatan to Texas. FARRINGTON: I believe my exclamation at the time was “what an unholy mess”. LEVIN: John Farrington is the Dean Emeritus at the Woods Hole Oceanographic Institution. When oil started coming ashore, the US government sent him and a team of researchers to study the source of the spill. They spent the next two weeks gathering samples off the coast of Ciudad del Carmen. FARRINGTON: There was a lot of oil going into the water, that’s pretty clear, a lot of oil and gas, so we had an idea that this was very large spill, there was no doubt about it. We didn’t have any good sense of what the impact was on the shoreline other than the oil and tar coming ashore on the coast of Texas. LEVIN: The U.S. team wanted to measure that impact. They wanted to know how the oil was affecting marine life and how fast it would degrade. But before they could finish their cruise, a series of powerful storms crashed into the Texas coast. It washed the oil right off the beaches and cut the team’s work short. 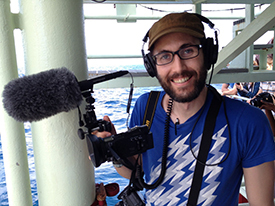 LEVIN: Wes Tunnell is a marine biologist at the Harte Research Institute. He was part of the team studying Ixtoc in 1979. TUNNELL: So word got around that the storms had cleaned the beaches and that currents had reversed and sent oil back to Mexico. And so the funding for all our research basically ended when that word got back to Washington. FARRINGTON: A lot more could have been learned, but was not learned, because of a decision made, that it was a Mexican spill, and that was the end of it. LEVIN: So, Farrington’s team packed up and sailed back to U.S. waters, and American involvement in the spill stopped. A few Mexican teams made sporadic studies over the next few years, but their reports haven’t been widely available outside the country. And Ixtoc more or less faded into memory. Until 2010. News clip #1: 126 workers were doing routine drilling on the oil platform before it was engulfed by smoke and flames. LEVIN: Thirty one years after Ixtoc, the Deepwater Horizon blowout dumped millions of barrels of oil into the northern Gulf. The spill lasted almost four months. And although it was slightly larger than Ixtoc, the two disasters were eerily similar. Both were underwater blowouts. Both happened just offshore. And both left huge amounts of oil in the water. 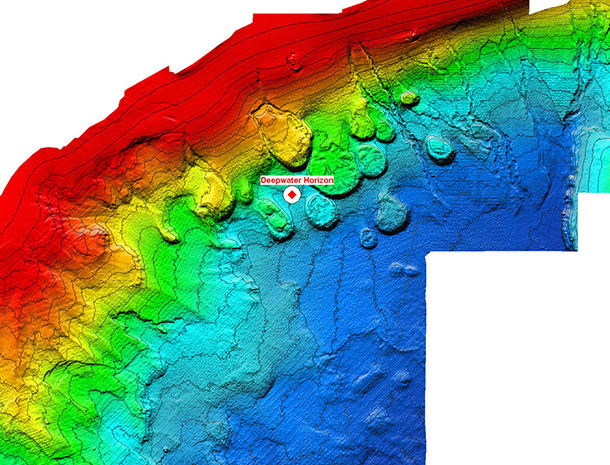 Even the shape of the ocean floor below each site is sort of the same. MURAWSKI: The Ixtoc site is perched on the edge of a marine canyon, like Deepwater Horizon is. Deepwater Horizon was at the bottom of a marine canyon. LEVIN: Steve Murawski is one of the lead scientists for C-IMAGE, an international team of researchers studying the effects of Deepwater Horizon. He says all the research on the recent spill is only telling scientists how oil is affecting the environment right now. It’s way harder to predict what the impact will be in the future. But since Ixtoc’s so similar, and it happened 35 years ago, he thinks returning to the Mexican site now could tell scientists what to expect near the Deepwater Horizon in the years ahead. Wes Tunnel joined Murawski’s team to finish the work he started in the 70s. He says that studying Ixtoc today is like stepping into a time machine. TUNNELL: So it was kind of a “back to the future” kind of thinking. Could we go down there and find any remnants of oil or beyond that, any effect or impact to the environment that might be used to look at the Deepwater Horizon spill and think forward then 30 years. LEVIN: Right now the C-Image team is planning a series of research cruises near the Ixtoc well. They’re using both American and Mexican ships, and for the first time in three decades they’ll be collaborating with Mexican scientists. Together, the international teams will study marine life and sediments on the ocean floor, looking to see whether the ecosystem has bounced back, and, if so, how. MURAWSKI: When we envisioned this, we envisioned it as a true partnership. MURAWSKI: Clearly the oceanography and animals in the Gulf of Mexico don’t respect indicidual boundaries between the United States and Mexico. These are political boundaries, not real boundaries, so we should take advantage of the opportunity to create a “one gulf” look at the ecosystem. LEVIN: It’s a goal that Joel Ortega-Ortiz supports. He trained as a marine biologist in Mexico, and spent time in Ciudad del Carmen as a grad student. Today, he works closely with Murawski at the University of South Florida. ORTEGA-ORTIZ: The Gulf of Mexico is a shared basin. It’s a large marine ecosystem, and I think everybody understands that the more comprehensive studies that we can do, which obviously will require collaboration, the better that we’ll be able to understand the ecosystem of the Gulf of Mexico. LEVIN: Ortega-Ortiz grew up seeing the effects of the spill, but he also grew up with the economic bonanza all that oil caused in southern Mexico. He thinks looking at the aftermath of oil spills is an essential way to understand an old and delicate balance in the Gulf. Oil wells like Ixtoc or Deepwater Horizon can inject money into coastal communities, but that same oil can also devastate fisheries and destroy key parts of the ecosystem. ORTEGA-ORTIZ: We benefit from natural resources, but the use that we make of them comes with risks. I think we will be able to get a more objective image of what’s going on in the environment after this accident and learn so we are better prepared for next one. And there will be next one. LEVIN: Today, the C-IMAGE team and their Mexican counterparts are combing through the samples they took at sea, and have started to analyze them in the lab. They’ve already seen some similarities to Deepwater Horizon. Sediment cores taken at Ixtoc show a thick layer of oil and mud that sank to the bottom during that spill, killing off tiny animals low on the food chain. At the time, it wasn’t a pretty picture. But just above those layers, fresh mud slowly starts to reappear, and new within seven years, so do new animals. A decade after the spill, the ecosystem seemed to be back to normal. And that’s a lesson that has Murawski hopeful for the area around Deepwater Horizon. The Gulf’s past, it seems, has a lot to say about its future. This piece aired nationally on PRI’s environmental news program, “Living on Earth”, on March 17, 2017.